Amazed that I can do something I so enjoy and make a living from it! Based in Chester I photograph weddings all over the North West of England and North Wales, and occasionally beyond. I am an enthusiast for this work and there is nothing I like to do more than take beautiful pictures of people getting married: images of the highest quality and enjoy the company of those I can get to know and call by their first names. 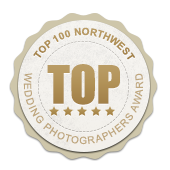 As a result of my many positive and outstanding reviews I have been places on a list of the top 100 photographers in the North West. People also come to me for their portrait needs either enjoying my cosy studio here in Chester, or in locations of emotional importance to them. Recently I have done quite a bit of commercial photography for company websites and businesses for their publications when I have met some very interesting people doing some very interesting things! I am married to Oona Linnett a wonderful harpist and we are often fortunate enough to work together on weddings. We love living in Chester where we have raised our family and enjoy getting out into the Cheshire countryside as well as into the higher ground of Wales, The Peaks and The Lake District. My studio is based in Handbridge, Chester, Cheshire, please complete the contact form to request the exact address and directions.